Intrigued by the Bobbi Brown Denim & Rose collection, I ventured to Tangs Vivocity last weekend to check out the collection. The Denim & Rose palette turned out to be much smaller than I had expected. I was expecting a CD-size palette but instead, it was only slightly larger than my palm. The Denim Eye Shadow ($32) caught my eye instead with its metallic sparkles. The Tangs SA said that they had received only 10 pieces of Denim, and 30 pieces of the palette. They didn't even have any testers. 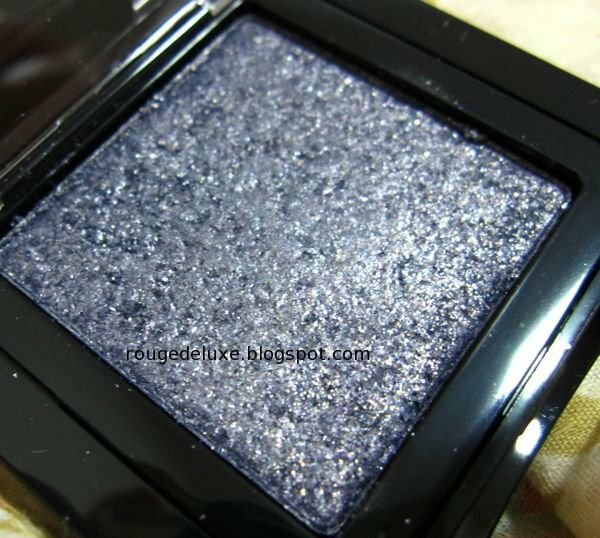 The Sparkle texture is actually limited edition and not in the regular line-up. The peril of buying without trying is that sometimes the product applies differently from what you had hoped for. I was hoping for a smokey shimmery gunmetal but instead, all I got was a sheer light grey wash with a sprinkling of sparkles. Even with Urban Decay Primer Potion as the base, it took quite intensive layering with a dense brush to get the grey tone to show up well. Using a sponge tip applicator did not improve things much. 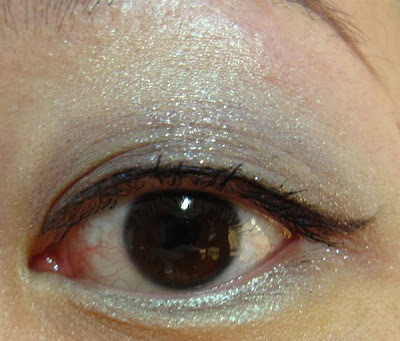 For this look, I used Denim from the upper lashline to the middle of the lid. The other option is to use my finger but that can cause the surface of the eyeshadow to harden if oil transfers from your fingertip. I also picked up the Denim Ink Gel Eyeliner. 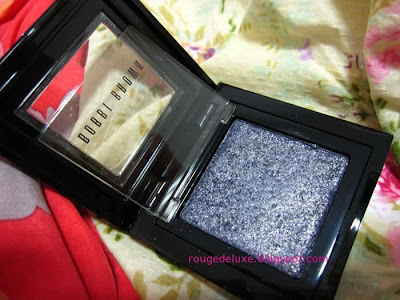 Although Bobbi Brown gel eyeliner are highly raved about, I've never tried them previously due to the $40 pricetag. And it doesn't even come with its own brush, unlike Maquillage, Kate and Maybelline! 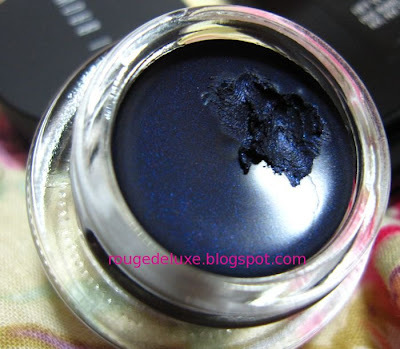 To be honest, while Denim Ink looked pretty in the pot, I didn't find it to be much better than the other cheaper gel eyeiners that I've used. But since I've only used it twice, I won't judge it just yet. 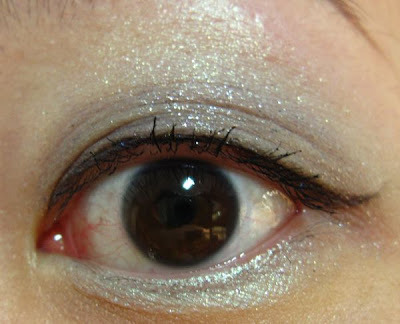 Maybe you can try applying a wash of the denim gel liner before the eyeshadow? The shades look similar, thus won't fare too drastic? I love the red lips! Too many choices in the market. Tsk! Oh gosh the lip colour looks positively stunning on you! 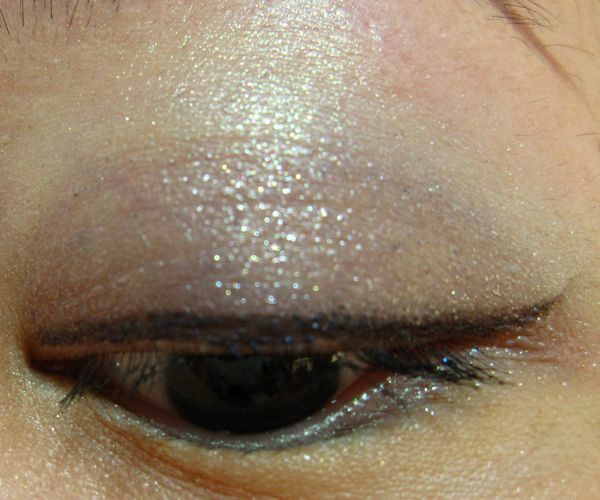 The denim eye shadow and gel eyeliner looked much better in the advert. I was expecting it to show up as a true denim jeans-like colour. Disappointing that it's so light. Maybe primer before eyeshadow to make it more pigmented? Or maybe a similar colored eyeshadow to layer it over? Also, I mean no offense, but maybe smile more in your photos and look more directly at the camera lens? I think you are already doing a good job showing us how the makeup looks altogether, but maybe if you looked more interactive (and not distant) to us readers, it would be even better. Maybe look at how the Muse and the girl from Temptalia pose? 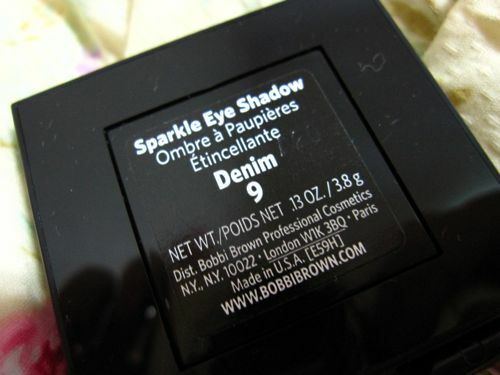 I LOVE Bobbi Brown's single eyeshadows, even though I own just a single one yet (the Chrome e/s in Pewter). Gosh, the Blue Denim e/s is amazing! Haru I think you look great the way you are! I don't really smile much in photos either and I think that's okay (: It's more mature or elegant this way as I feel that I'm no longer a teenager posing in front of the camera.